They’re back with Episode 57! 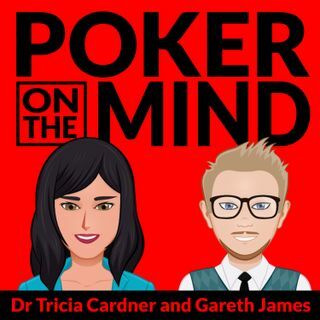 MTT Coach Gareth James and Peak Performance Strategist Dr. Tricia Cardner open the show by celebrating the fact that their new book Purposeful Practice for Poker is done and turned into the publisher!! Tricia then turned the conversation to ... Maggiori informazioni a question from John about dealing with making mistakes due to feeling pressure. She and Gareth discussed where pressure comes from and how to better deal with it. Gareth then took over the mic to answer Justin’s question about how to play a medium pocket pair versus a 3bet in the middle stages of a MTT. We talked about the importance of chip EV, how to use software to improve in these spots & how to approach questions/study from a ranger perspective. Want us to answer your poker question?